REFLECT: How did Timothy learn the Gospel? RESPOND: Identify one major event that God used in your life to allow you to hear the Gospel. "Paul came also to Derbe and to Lystra. A disciple was there, named Timothy..."
Just last weekend I was able to go to the Act Like Men conference in Ontario on my 18th Birthday. The woman at the admission table let me in for free out of the kindness of her heart. I was able to listen to amazing speakers such as Matt Chandler, Mark Driscoll and James MacDonald. 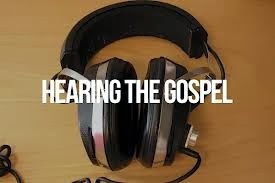 I was able to hear the Gospel, grow in my faith and draw closer to God. Left college and moved back home...Got a job with a Contractor and every single one of his workers was a believer.....I didn't stand a chance HAHA!